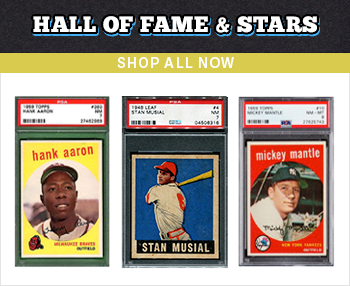 Cardboard Picasso offers professionally graded sports cards and certified sports memorabilia items which are authenticated by the most trusted sources in the hobby including PSA, SGC, Steiner Sports, Beckett, TriStar, and more. 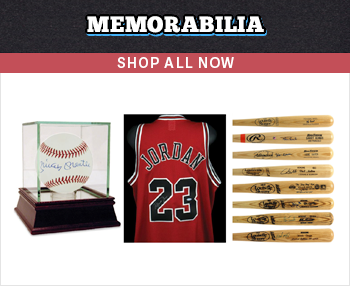 We offer a wide range of sports memorabilia including vintage baseball cards, modern rookie cards, autographed jerseys, signed bats, game used baseballs, and more. 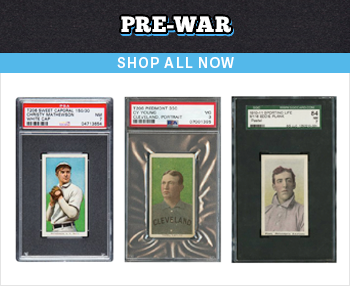 Our selection of vintage sports cards rivals any baseball card shop and includes rare T206, Bowman, Leaf, and Topps releases of Hall of Fame players such as Mickey Mantle, Jackie Robinson, Michael Jordan, Willie Mays, Honus Wagner, Mike Trout, Lebron James, and more. 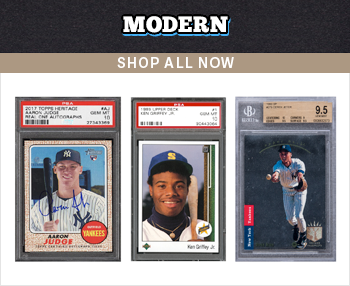 Unlike a traditional sports memorabilia auction house, you will never get outbid on an item, have to wait 30 days for an auction to end, or pay a hefty buyer’s premium. 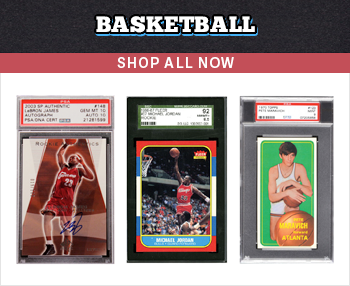 We offer free shipping on graded sports cards and a complimentary membership to our “Picasso Points” program which rewards loyal customers with coupons up to $200. 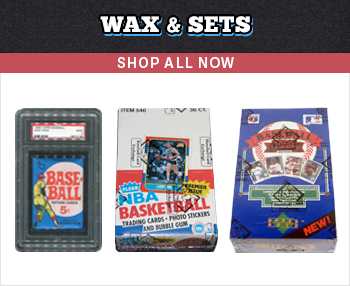 To find sports cards or sports memorabilia items, visit one of the categories below or use our search feature located in the top-right section of the site. 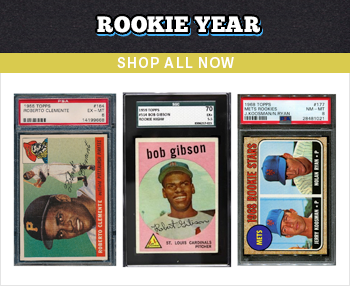 You may search by player name (Mickey Mantle), set name (1952 Topps), team name (New York Yankees), etc. 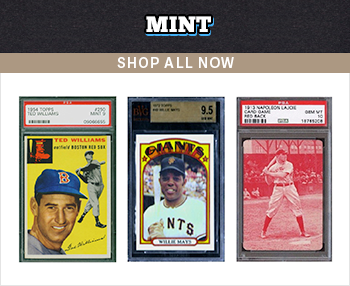 "Cardboard Picasso is like the Nordstrom of vintage baseball cards. The cards are great quality and I've seen a good range of prices where I can buy something more in my price range or spend extra to get a card I've always wanted. Their customer service is great too! 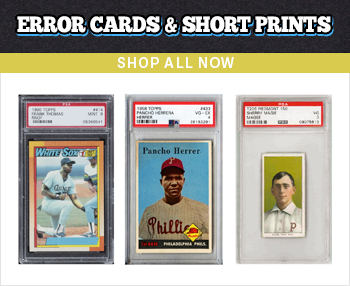 I will definitely purchase more cards with Cardboard Picasso and recommend them to other vintage card collectors." - Kristin H.
"Have worked with Steve on a few different early 50s bowman high grade cards and he is the best. I make payment and my card is at my doorstep in 3 days. Great selection good prices and he will even find cards for you. Will be longtime customer keep up great work. You will not be disappointed guaranteed." - Cornelius D.
" The quality of the service is the only thing that can top the quality of the cards offered from this seller. I received nothing but the best; great communication, prompt shipping, and great care for the buyer’s experience. I highly recommend looking at their inventory." - Matthew L.